Valeriy Zukin has used the procedure to help infertile couples have children. A 34-YEAR-OLD woman tried to have a baby for 15 years before she turned to a pioneering doctor in Ukraine and a groundbreaking but ethically disputed ‘three-parent’ procedure. 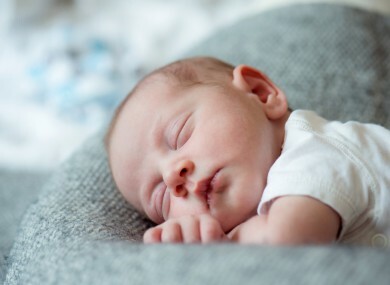 She became the mother of a healthy baby boy in January at a private clinic in Kiev using a process called pronuclear transfer that inserts the couple’s genes into a donor’s egg. The procedure had previously been used to treat serious genetic diseases. Doctor Valeriy Zukin became the first to use it to help two separate infertile couples have children. “There are patients whom we cannot help to have their own genetically-related baby unless we use this method,” the 60-year-old told AFP at his Nadiya clinic. Some two million women across the globe use in vitro fertilisation (IVF) to get pregnant every year. However, Zukin’s treatment targets a tiny percentage of women whose embryos suffer from a disorder called embryo arrest that can either stunt development or kill them. The difference in the method Zukin uses is that a woman’s egg is first fertilised with her partner’s sperm. Then its nucleus is transferred to a donor’s egg that has been stripped of its own nucleus. The egg is thus almost entirely made up of genetic material from the couple — plus a tiny amount (about 0.15%) from the female donor’s DNA. Not everyone shares Zukin’s enthusiasm. Ukraine’s conservative clerics argue that the technique breaches ethical norms. “A child can only have two parents and the presence of a third person — and especially the DNA of a third person — is morally unacceptable,” Father Feodosiy of the dominant Ukrainian Orthodox Church told AFP. Other religions have also weighed in on the issue with the Roman Catholic Church opposing the move because it would involve the destruction of human embryos as part of the process. The Church of England has said ethical concerns have not been sufficiently addressed. Even some scientists have reservations. They warn against jumping to early conclusions about how successful the method would be if it were to be applied to the general population. “We cannot talk about its wide use yet,” Larysa Tumanova, a professor at Kiev’s Institute of Pediatrics, Obstetrics and Gynaecology, said. “First, we have to monitor the newborns’ health until they turn at least three,” she said. Other experts point out that the ‘three-parent’ technique — a different form of which has also produced a baby in Mexico — was initially being developed for those at very high risk of passing on serious genetic diseases. There is currently a line of hopeful mothers ready to pay €12,000 to undergo the pronuclear transfer procedure. “We have patients from Poland, the Netherlands, Denmark, France, Israel, Portugal and Brazil,” he says. Zukin thinks between 10,000 and 20,000 women a year could potentially be candidates for using the method to conceive — a figure large enough to seek out a foreign partnership that could study how best to use this technique. His health centre is now working with China’s Shanghai University to determine the genetic causes of abnormalities in embryo development at an early stage. “I hope that through joint efforts, we will be able to find in a more targeted way those whom this method will help,” Zukin says. Email “Doctor defends 'three-parent baby' technique amid criticism ”. Feedback on “Doctor defends 'three-parent baby' technique amid criticism ”.